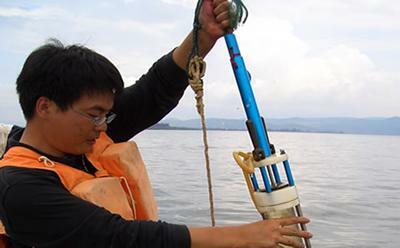 Co-author Enlou Zhang collecting a sediment core in Lake Erhai for analysis of midges. New research, led by the University of Southampton, demonstrates that ‘ecosystem canaries’ can provide early warning signals of large, potentially catastrophic, changes or tipping points in ecosystems. Like canaries that coal miners used to check for poisonous gasses deep underground, ‘ecosystem canaries’ species that are often the first to disappear from a stressed ecosystem. Their vanishing can be linked to changes in the functioning of ecosystems, which can serve as a warning that a tipping point is approaching. Co-author Dr James Dyke, from Geography and Environment at the University of Southampton, said: “Conservation often focuses on the big, enigmatic animals - tigers, polar bears, whales. There are many reasons to want to save these species from extinction. But what about the vast majority of life that we barely notice? The bugs and grubs that can appear or vanish from ecosystems without any apparent impact. The research, published (in press) in the journal Ecology, uses ecosystem canaries to show early warning signals of tipping points in three lake ecosystems in China. There is potential to apply this new technique to many other habitats, to increase our understanding of how they respond to human impacts such as overfishing, deforestation and climate change. The study used data collected from lakes that showed changes in the abundance of species from algae (diatom) and aquatic midges (chironomid) communities as they compete for resources under environmental pressures. From this data it was possible to identify three types of organism: slowly-replicating but strongly competitive ‘keystone’ species; weakly-competitive but fast-replicating ‘weedy species’; and slowly-replicating and weakly-competitive ‘canary’ species. As environmental degradation impacts on the ecosystem, keystones initially prevail through competitive dominance over others, resulting in the early demise of canary species. With continuing degradation affecting all species, this leads to the eventual collapse of the keystone species as they are replaced by the weedy species. The loss of keystones puts the ecosystem into a critical transition – the point at which a system tips into an alternate state which can be very hard to recover from. The vulnerability of canary species suggests a role for this group as a sensitive indicator of environmental forcing, yet it is often assumed their presence or absence has no useful ecological information. 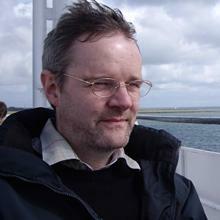 Professor Patrick Doncaster, from Biological Sciences at the University of Southampton and lead author of the study, said: “We identified an early warning signal of these changes in the relationship between compositional disorder, which is roughly equivalent to how jumbled up a community of species is, and biodiversity, which measured the total amount of species in a community. How these populations change over time reveals statistically significant signals of an approaching tipping point. The study, which was funded by the Engineering and Physical Sciences Research Council (EPSRC) and The National Basic Research Program of China 973, involved researchers from the University of Southampton (UK), University of Nice (France), State Key Laboratory of Lake Science and Environment at Nanjing Institute of Geography and Limnology (China) and Aarhus Institute of Advanced Studies (Denmark). 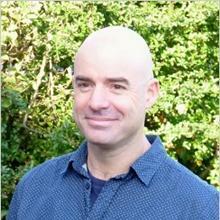 Professor C. Patrick Doncaster is Professor of Ecology within Biological Sciences at the University of Southampton.